Psst…we have a signed copy of JJ Lee’s book to give away! Instructions at the end of the post. The giveaway is over – regular reader Pamela Findling won! Local resident JJ Lee is exactly what I love about New Westminster. He is affable and welcoming, debonair and interesting, and importantly, he takes part in our community. JJ Lee is a CBC and Vancouver Sun mens’ fashion columnist who recently released his first book, Measure of a Man: The Story of a Father, a Son, and a Suit. Measure of a Man is a memoir that blends social history of the suit with the often tumultuous relationship with his dad. It is based on a full length radio documentary for CBC’s Ideas. Also surprisingly, I found myself learning an awful lot about suit wearing, style, and fashion history while reading the book. Lee seamlessly weaves together anecdotes and discussion about his family and his relationship with his father with incredibly interesting pieces of fashion history and commentary. I should note my personal style isn’t really fashionable, per se; I call it “West Coast Mom Army” – fleece, merino wool, denim, gumboots, and rain jackets. I buy clothes on technical merit and durability, and then, secondarily, fit and colour. That said, I was inexplicably drawn to the beautiful conversational sections in Measure of a Man about fashion: the sections detailing the impactive and trend setting visionary fashion of Edward VIII, for example, or the incredibly thorough section about a pocket square/ handkerchief, their purpose and folding techniques for them. I also counted no less than five references sprinkled throughout the book to the Always-Sometimes-Never rule, which designates which buttons are opened and which buttons are closed on a suit jacket. “Mind you, I went through an entirely different kind of pain: writing a book proposal – really, what the hell is that?” he jokes. Measure of a Man is a great read, and I’d have to rank it as one of the better books I have read this year. It felt like the beauty and creativity of fiction but with the truthfulness of non-fiction. I find it very refreshing to read a book that makes me re-evaluate something I strongly believe and formerly thought was unshakeable. I have spent the last few days since finishing the book thinking about what I’d read and talking about it to others. I found myself thinking of my own father and his style of dress. He was a furnace man, a very physical and hard worker, and I remember navy blue polo shirts, cheap denim, wool socks and pull on work boots. There’s a scent, too – diesel and smoke and Sunlight powdered laundry detergent, which he used to scrub his hands with after work. JJ Lee is active on Twitter and maintains a great blog. He’s available for book clubs too! Measure of a Man: The Story of a Father, a Son, and a Suit is available locally at Black Bond Books (their first order sold out, more coming next week, they tell me) and New Westminster Public Library (hardcopy only so far, e-book coming) or order hardcopy or e-book online. 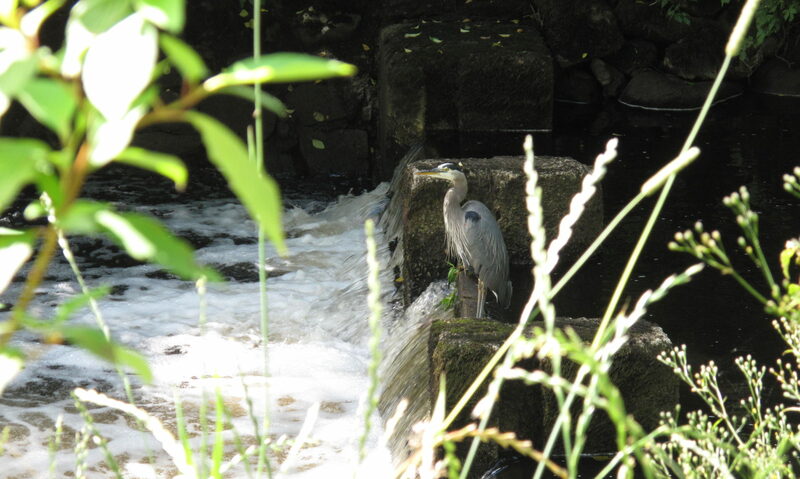 Or… better yet…. get a free signed copy from us! 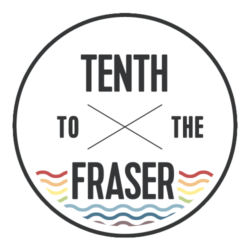 Tenth to the Fraser is very honoured to have one signed copy to give away. To enter, leave a comment and tell us what piece of clothing you most clearly remember your dad wearing (or any special guy in your life). We’ll draw one random winner next Thursday, October 13th at 2PM. My dad works in the oil fields so he always wore wrecky jeans and oil-stained work shirts. Oh, and the company jackets with his name on them! But I remember that whenever Mom was able to convince him to splurge and buy new clothes, he'd walk around so proud–it just changed his whole posture. Once, he got this fantastic dark teal microfiber jacket (it was really nice, honestly) and he wore that thing every chance he got. My Dad was notorious for always wearing a clean pair of work pants and his ferdora when he went outside. For me, a checked shirt will forever be equated with physics and falling in love. 2. a checkered shirt. Any kind. Plaid, gingham, whatever. The shirt was most important. I remember going to conferences and seeing almost everyone present in some kind of checked shirt. Nary a stripe or a solid to be seen. Most of the men didn't actually seem conscious of this, they just…blended in, I guess. My husband, also a physicist (we met in quantum mechanics class…so romantic…), riffed on this during our courtship by wearing one of those checkered flannel lumberjack shirts as his winter jacket. He remains fond of this thing (although no longer employed in The Profession), it's still in his closet, although it no longer fits him (he claims it has shrunk…we all know better…). Aaah. Checked shirts. great piece. My dad is a very well dressed man. We come from a family of tailors so my grandpa, my dad and his brothers always had a sense of style. My father fashion traits while I was growing up were always classy wearing a nice pair of dress pants, stylish shirt and had nicely combed hair (he has a comb in his pocket). He gets dressed up even to go grocery shopping! Sorry I named too many pieces of clothing! There's a picture of my dad from the 70s: tan suit, red suit, white tie, Brylcreemed hair. Somehow he managed to make all that look very sharp. But I mostly remember him for brown socks. One year I asked him what he wanted for Christmas and he said, "Brown socks." I'm not sure why, but that became a special thing between us. He had an odd sense of humour and it was both a joke and practical. Some years he would say he didn't need brown socks. One year I think I tried to liven things up with novelty socks, but I most often just bought him nice brown socks. My Dad wore hats when he drove off in his truck – felt fedoras in winter, straw in summer. In the barn he was more likely to wear a cap. One day he let me choose his clothes for him. My suggestions didn't stick. That's OK. In those days, i didn't have much fashion sense either. I loved JJ Lee's interview on North by Northwest. My dad was an ironworker and wore a tan work shirt and pants – the same outfit day in and day out. Although his job was very physical and hard on clothes, he refused to wear jeans. It was like a work 'suit' and it reflected the pride he felt in his profession and and professionalism he wanted to convey, both to his employees and supervisors, as well as his family and friends. Oh I really love this post. Nice combination of interview and quotations and observations. My dad dresses like West Coast Mom Army. But when he worked as a welder he used to wear those thick wool socks and he had to bring them home in a paper bag and take them directly to the basement to sit beside the washing machine, they smelled that bad. My 94 year old grandpa used to wear one of those felt hats that people used to wear in the olden days. I loved his hats!! He'd wear them with his suit all around town. I know he'd be wearing them still if they sold them at department stores like they used to. He's had to replace his beloved felt hats with baseball caps now unfortunately. I also like that JJ Lee mentions in his afterword a few notes about how he edited the book to make a few things more continuous (he combined a few minor events, for example, and described as a single). I pulled the winner today… and using a random number generator, I actually pulled my comment first. My second pull resulted in Pamela! I'll contact you to arrange delivery of your book. My dad used to wear all kinds of wacky clothes. I have a photo of him in aqua plaid bellbottoms, a white turtle neck and a big red beard circa 1980. Lately though, he has a uniform. Each day he wears pleated light kakhi dockers and a soft jean shirt, tube socks and boat shoes. If you look in his closet, you will see a stack of identical dockers, a row of identical jean shirts and a drawer of tube socks. He is like Steve Jobs with the same outfit each day. While it has been the source of some good natured ribbing, we are all so used to it now, we wouldn't have it any other way. Next PostNext It’s A New West Thankgiving Thanks-Fest!